Every company needs marketing collateral whether it’s a handout, brochure, signage or direct mail postcard. It’s that one piece of information that extends beyond the business card that shows potential clients what you do and how your company may be beneficial to theirs. 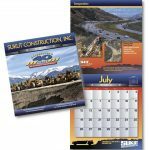 While brochures are a “must have” for nearly every type of business, your marketing collateral could also include a calendar, folder, annual report or all of the above. Making your company visible and personable through your promotional material is a huge step toward edging out your competitors and gaining new business. Brochures are a great way to capture a potential client’s interest in your company and inform them of your scope of services. If designed properly, brochures often get saved and used at a later time. 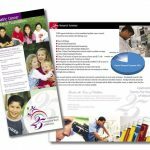 Brochures should be part of your marketing collateral. Signage often has a longer shelf life than what most people realize. Signs are in photos, uploaded to websites and used in brochures. Make sure yours is professional and conveys the right message. Flyers that capture a potential client’s interest can have a long-lasting impact. They are an effective door-opener. Flyers are simple to distribute and easy for the recipient to keep. Mailers may be postcards, brochures or reply cards. These types of marketing collateral typically are sent en mass. 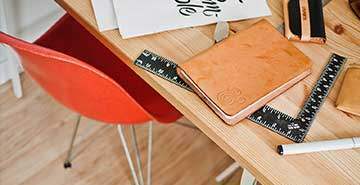 There are many types of designs, from self-mailing brochures to packaged announcements. Even in this digital age, printed direct mail is still in vogue. Think about how many Google ad mailers you’ve received? There’s a reason for that. They work! We have many years of experience creating effective marketing collateral, with plenty of samples we would love to share with you. Please be sure to contact us if you are interested in viewing more. See how your marketing stacks up against your competitors. Is your website responsive and optimized? What news coverage have you recieved lately? Send us your contact information and a marketing professional will call you to discuss your ideas, marketing possibilities and growth avenues.